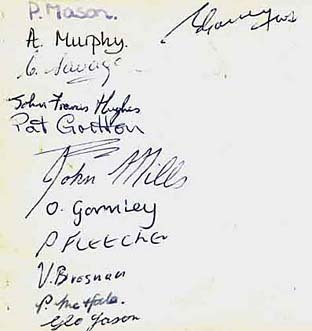 The signed side of the team above. but Tony thinks that he was out due to injury on this occassion and was replaced by Fr. Garvey. 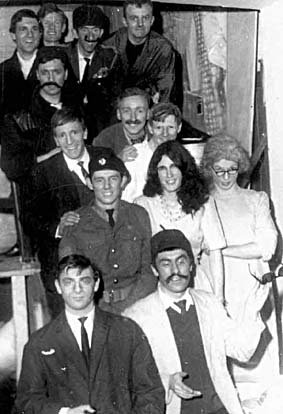 A production of "Simple Spyman" performed at Blacklion in 1968. 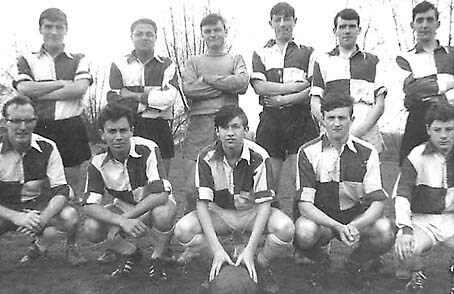 John Halloran, Richard Moran, Fr Donald MacLeod, Liam O'Neill, Vince O'Neill, Quentin Lowe. 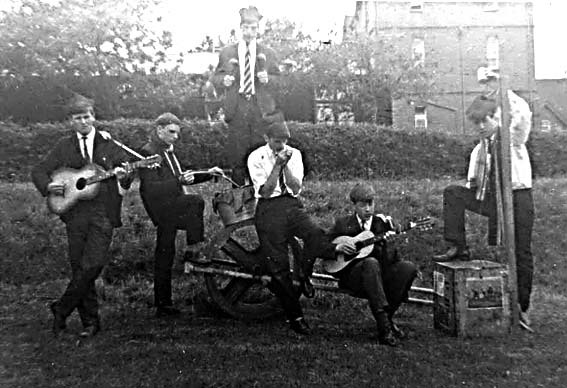 Front row: Hugh McVey, Pat McDermott.